Perhaps you have a new job, are a newlywed, or have recently committed to a personal savings plan. Whatever your life stage, you’ve surely heard that regularly contributing to savings is an important financial strategy. You know to save for emergencies, retirement, college, and large purchases such as cars and homes, but where do you start? How much should you put away from each paycheck, and how do you prioritize your savings goals? Every situation is different, but figuring out the details of how much to save on a regular basis isn’t difficult. Once you’ve established a savings strategy that will help meet your family’s financial goals, start saving immediately. If you haven’t yet started saving, begin earmarking money for savings with your next paycheck. It is much easier to establish this habit before you get used to spending your “extra” money. The easiest way to begin regular savings is to arrange an automatic payment from your checking account to your savings account. Set up automatic savings payments to occur as soon as your paycheck hits your account, which eliminates the temptation to withdraw or spend it. Depending on what the money is for and when you will need it, your savings can grow in a high interest savings account, a certificate of deposit, or a tax-sheltered savings plan. One way to figure out how much to regularly divert to savings is to use the bill method. First, identify your gross pay and net pay (net pay is the amount that is deposited after deductions). As deductions for individuals differ according to income tax bracket, employer plans, union dues, and other expenses, nailing down a precise net savings goal from each paycheck is difficult. Instead, treat your savings contribution as a bill to be paid before everything else. Calculate 10% of your gross pay – the amount before taxes and other deductions – and set up automatic savings based on this figure. For example, if earnings before all deductions are $1,500, earmark $150 for savings. 10% is the starting point for savings. 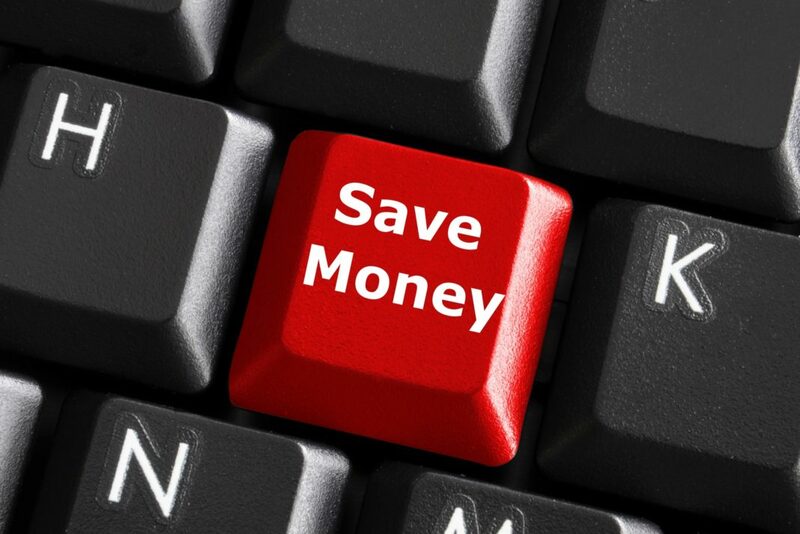 If you can save more, you will attain your goals faster. Another method to determining how much to save is the budget method. After deducting all fixed and variable expenses from your monthly budget, earmark the remaining funds for emergency savings, your retirement account, and any other savings funds. 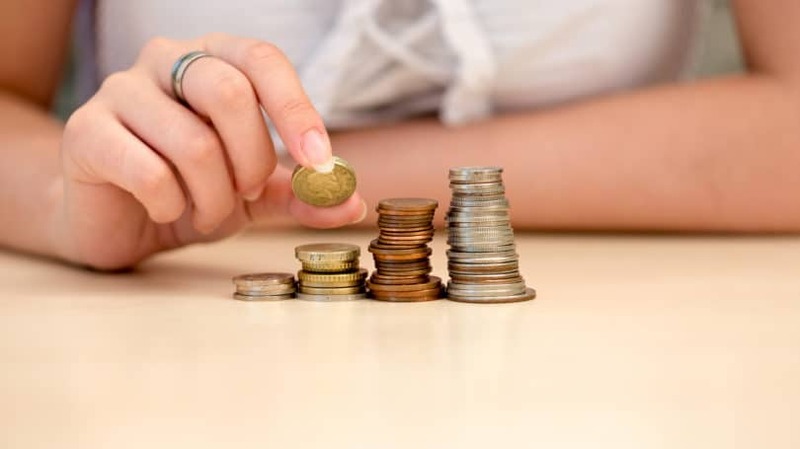 Using the budget method to determine how much to save can also help you to identify expenses to cut back on, especially if you struggle to reach the advised “10% of gross pay” savings mark. While you are free to prioritize your savings however you like, it is highly advisable to save first for emergencies and retirement before moving on to savings for education and major purchases. No one likes the idea of a financial emergency, but at some point in your future you will be faced with unexpected costs such as home repairs, car repairs, and medical bills – and could perhaps even face job loss. 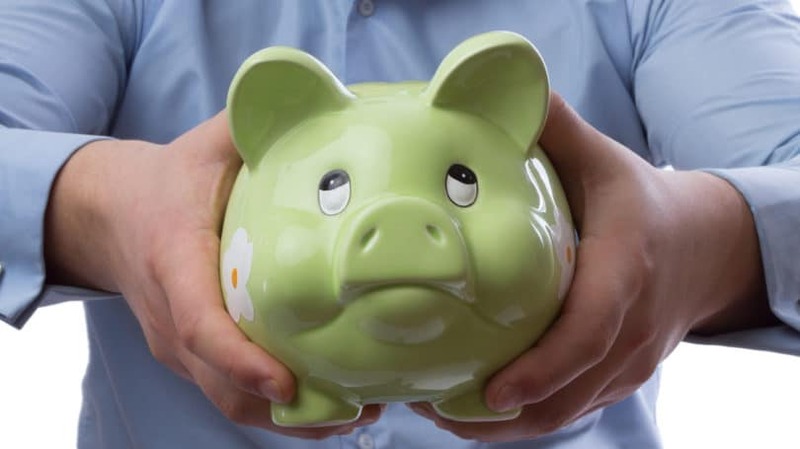 While everyone should have emergency savings, how much you should save varies. A good starting point is at least six months’ worth of expenses – but in many circumstances, you’ll want to save even more than that. Experts suggest your emergency savings amount should represent between nine months to one year of living expenses. Families with children or those who rely on self-employment income, commission income, or just one wage-earner should save at least one year’s worth of income for emergencies. While some people plan to use credit cards or credit lines to fund an unexpected financial crisis, this is an expensive and temporary solution, as these are simply loans that require repayment of the amount borrowed plus interest. Save at least 5% to 10% of your gross paycheck until you reach your emergency savings goal, and then redirect your emergency monthly savings to your other savings accounts. Since emergency funds should be easily accessible, a high-interest savings account is a good place to save your money. It may seem like a long way off, but saving for retirement should begin as soon as you start working. There are many different views on the amount of money needed for retirement, but saving 10% of your gross income has been a common goal of investors for years. If you have multiple savings goals, such as an emergency fund and a retirement fund, don’t focus on one to the exclusion of the other. Contribute to both until you meet your emergency fund target. Given the increased life expectancy of Americans and the uncertainty about the future of Social Security programs, today’s young people should save as much as they can towards retirement. Adding even small amounts to a retirement account can make a big difference to your retirement fund due to compounding investment gains that won’t be taxed until they are withdrawn from the account. Begin by investigating your employer’s retirement plan, and look into other retirement savings options such as an IRA or a 401k. If you are struggling to build savings and pay down debt, create a family budget and find ways to cut back on expenses and increase your monthly income. Increase retirement savings contributions gradually as you meet emergency savings goals, pay off debt, and receive pay increases. And don’t even think about letting your retirement account double up as an emergency fund, as there are harsh penalties and taxes to pay when you access retirement funds early. When your emergency savings goal is met and you are making regular contributions to retirement savings, it’s time to address your other goals, such as making a down payment for a home or buying a new car. Prioritize your goals according to what will benefit your family the most. If a car allows you to commute to a better-paying job resulting in more take-home pay, save for it first. Saving for a Car. You may want to consider buying used instead of new. Unlike your mortgage payments which are tax-deductible, there is no tax benefit to having a car loan payment, and the value of your car decreases a lot faster than your loan balance would. Saving for a Down Payment. To supplement your own savings for a home, you may qualify for down payment assistance through United States Housing and Urban Development (HUD), which offers a variety of programs and grants for home buyers. In some places, such as Memphis, Tennessee, or South Bend, Indiana, property values have plummeted more than 40% since the 2008 recession, providing opportunities for diligent savers to buy a home without a mortgage loan at all. The more you save for a home or a car, the less you need to borrow and the less interest you must pay – so save as much as possible. If you can live with your parents for less than market rent, or are a double-income couple who can live on one spouse’s income and save all the take-home income of the other spouse, do it. Helping children pay for college is another common goal for parents. Once you are meeting your regular retirement contribution goal, begin saving by making regular contributions from each paycheck to a college fund such as a tax-advantaged 529 savings plan. Encouraging your child to save for their own education helps instill the savings habit from a young age. If your child receives money as a gift, add a portion of these funds to their education account. Like retirement savings, beginning education savings early allows interest to compound. Though the dollar amount you should save from each paycheck is unique to your particular circumstances, studies show that the savings-to-income ratio of Americans doesn’t vary a great deal. In a 2010 study carried out by the Federal Reserve, respondents felt their “rainy day” savings should range from 9% to 14% of their annual incomes, in keeping with recommendations by many financial experts. Don’t be frustrated if you can’t immediately meet your monthly or biweekly savings goals. Just save what you can. The important thing is to get started now, save regularly, and establish a healthy habit that will contribute to your future financial well-being. How much do you think should be set aside for savings from each paycheck? Sarita Harbour is a full-time writer with over 12 years of experience in financial services. Her career included roles as a small business finance consultant, senior personal banker, and financial advisor. During her successful career in banking she assisted clients with personal and business credit and retirement planning. Sarita is a regular contributor to several personal finance and small business websites, and is passionate about money management for individuals, families, and entrepreneurs. She is the author of "How to Build Your Brand With Pinterest" and "Instagram: How a Photo-Sharing App Achieved a $1 Billion Buyout in 18 Months."